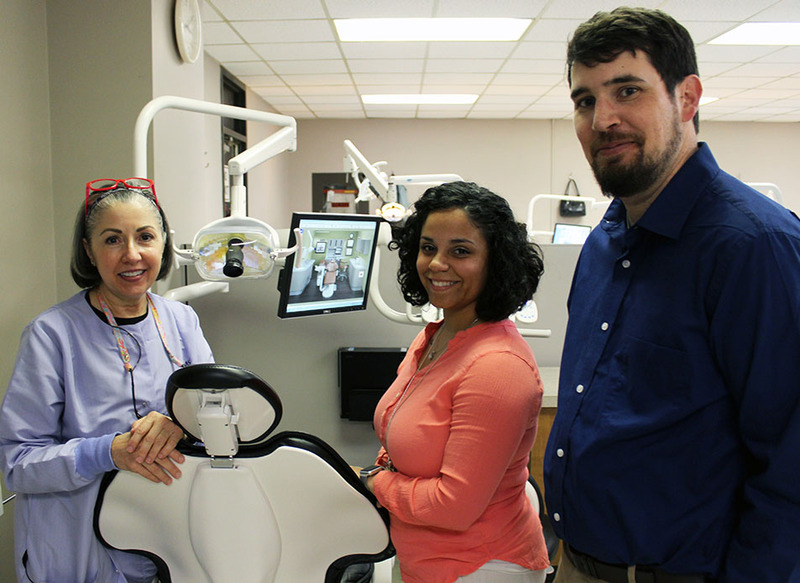 The Office of Interprofessional Education recently awarded small grants to interdisciplinary projects aimed at improving oral health, use of telemedicine and promoting use of mobile or wearable technologies for clinical and research uses. The three grants totaling $30,536 constituted the second round of awards from the Interprofessional Education Small Grant Program that was created to promote interprofessional education and collaborative practice at UAMS. The call for submissions in fall 2017 targeted proposals focused on interprofessional collaboration and practice in areas of clinical care. A panel that included the provost, the two IPE directors, the chair of the IPE Research Subcommittee and additional faculty members representing the UAMS Integrated Clinical Enterprise (ICE) reviewed the submissions. The grants were announced in March. 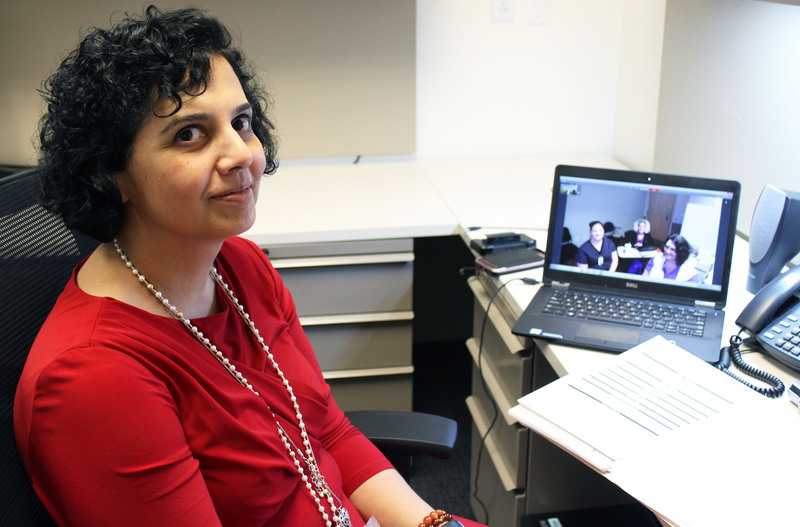 Priya Mendiratta, M.D., associate professor in the Donald W. Reynolds Department of Geriatrics, pauses during a telemedicine consultation with staff and caregivers at a long-term care and rehabilitation facility in Clinton. 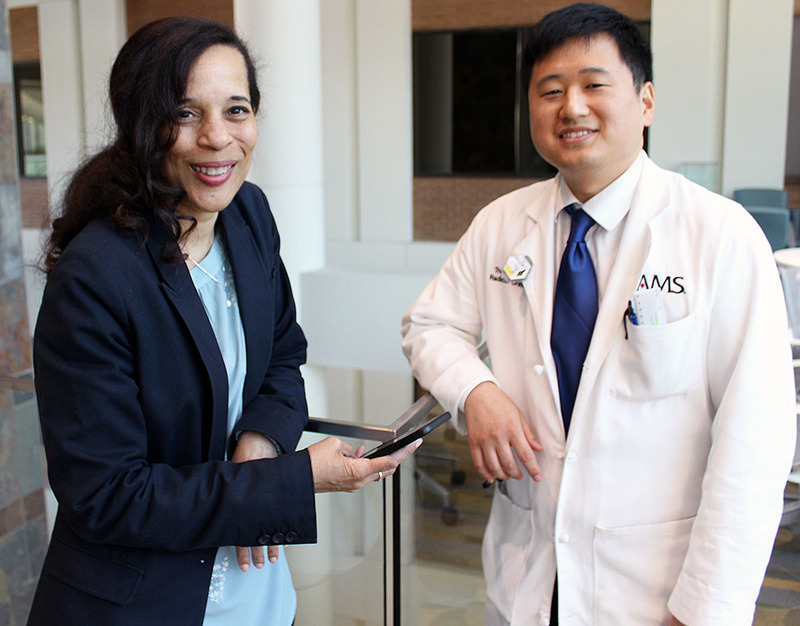 Anita Walden (left), an instructor in the Department of Bioinformatics, and Thomas Kim, M.D., assistant professor in the Department of Radiation Oncology, hope to increase the adoption of mobile and wearable technologies into clinical and research applications. (From left) Melissa Efurd, Ed.D., RDH, chair of the Department of Dental Hygiene, Jennifer Stane, RDH, dental hygiene instructor, and Joel Goodin, Ph.D., research associate in the Department of Geriatrics, are part of an interprofessional team that will work to improve oral health care in long-term care facilities. The Office of Interprofessional Education is planning another call for submissions later this year.